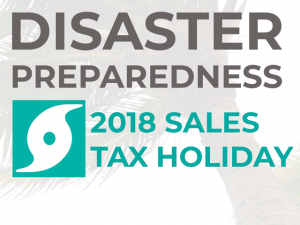 The 2018 Disaster Preparedness Sales Tax Holiday begins on Friday, June 1st and ends on Thursday, June 7th. During this sales tax holiday period, qualifying items related to disaster preparedness are exempt from sales tax. sales in a theme park, entertainment complex,k public lodging establishment, or airport. 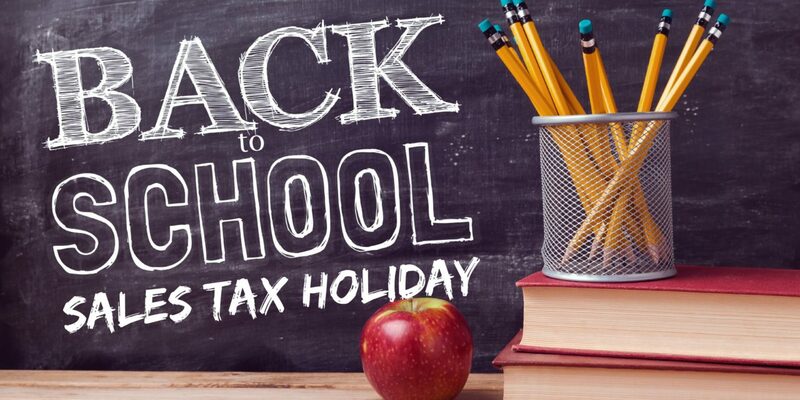 The 2018 Back to School Sales Tax begins on August 3 and ends on August 5, 2018. 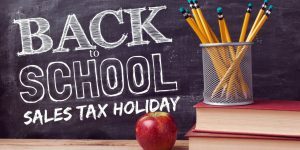 During this sales tax holiday period, qualifying items will be exempt from tax including: certain school supplies selling for $15 or less per item; clothing, footwear, and certain accessories selling for $60 or less per item; and personal computers and certain computer-related accessories purchased for noncommercial home or personal use selling for $750 or less per item. 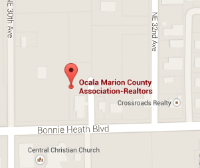 Please visit, http://www.floridarevenue.com for more information.